So I haven't been totally idle for the past two weeks, but there hasn't been much to report on that I haven't already said. 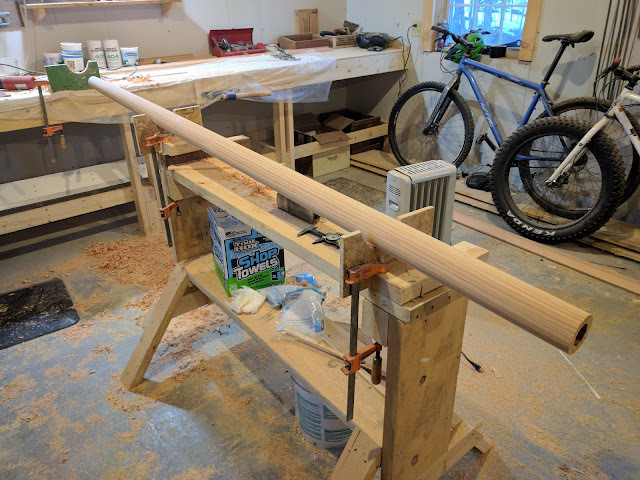 I just finished up the mizzen mast and the main boom in birdsmouth fashion and while it has been pretty satisfying building these things, there is a lot of sanding and planing that gets a bit tedious after a bit and I think I'm ready to move on to the hull. Notably missing from the completed spars so far are the main and mizzen yards, the mizzen boom, and the boomkin. I am certain that I will do the boomkin up with the birdsmouth method so I can run the mizzen sheet through the spar instead of mounting a block (There are several nice examples here: woodenboat forum). I'm not entirely certain I will do the yards and mizzen boom in birdsmouth because they are so small in diameter as it is, I don't know how much I will gain by going birdsmouth with these. 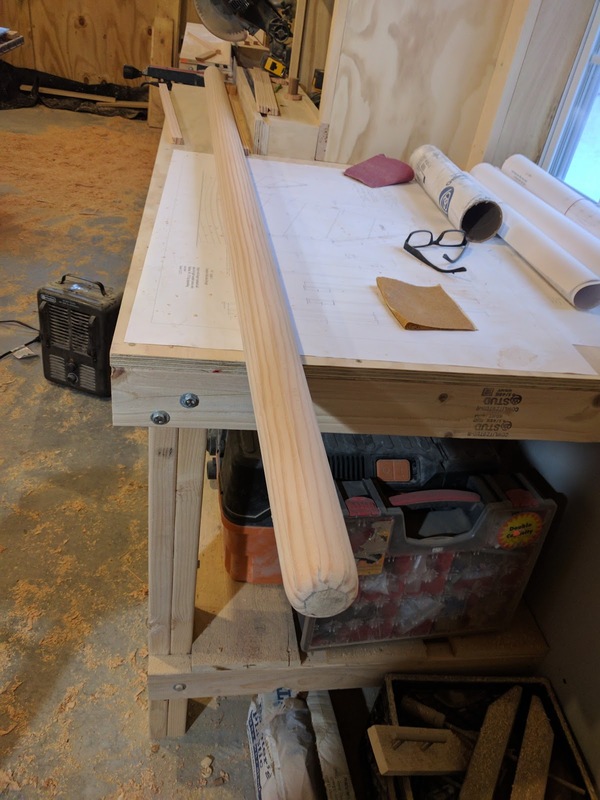 I suspect there is some equation of diminishing returns that can be calculated based on diameter of spar and a few other factors; I'll let you know if I come up with it. Anyway, the mizzen looks like a tiny main mast, but only 2305mm compared to the 4545mm for the mast. The boom is a bit more interesting in that it is tapered on either end, but slightly differently. 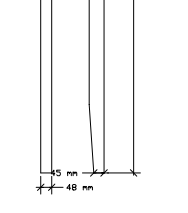 On one end, the taper goes from 65mm to 45mm over 750mm, while the other end does the same taper in 400mm. 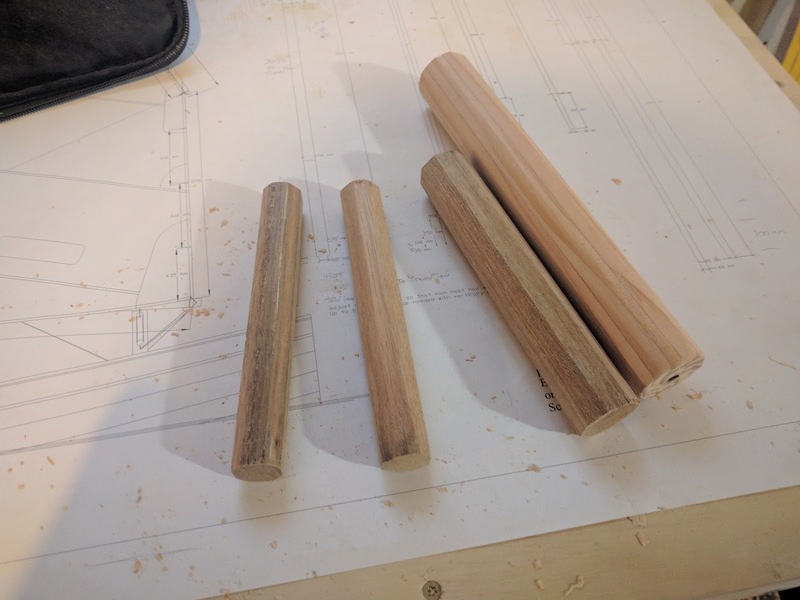 It added up to a little more care with planing (both electric and hand plane), but overall, the process is identical. The plan's line drawing actually show the boom tapered asymmetrically, but I contacted Tom Dunderdale and he said that the taper is symmetrical and to treat it as such. 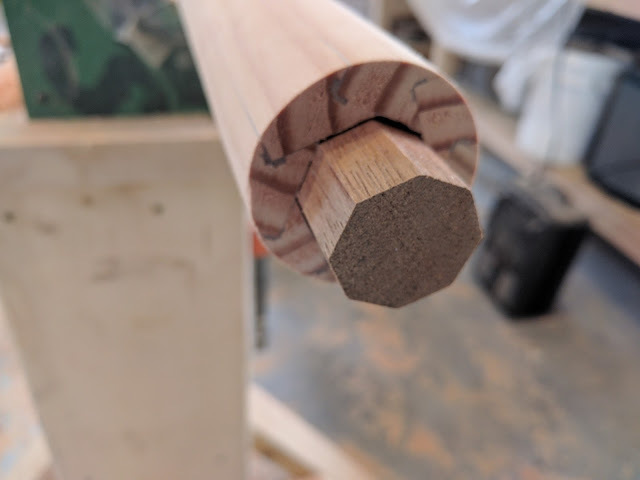 The boom I plugged either end with octagonaly planed pieces of 120mm mahogany (< 5 inches) and the mizzen got the top end plugged with mahogany and the bottom got a similar birdsmouth plug treatment as the main mast. I finished up tonight by getting everything sanded down to 150 grit paper and ready for Deks Olje oil finish. 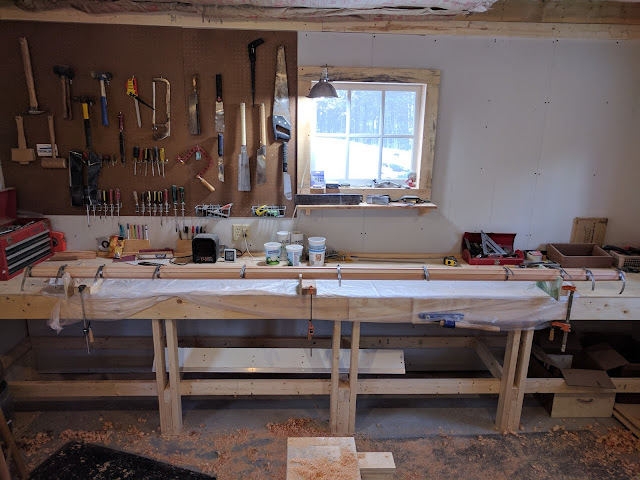 I will probably get a coat or two on before I move on to the next task, but I hope to actually purchase the plywood next week sometime and start the scarfing process to get the long panels I'll need for the hull.